Full size Jaxa case wrench (Bergeon 2819-08), 4 sets of 3 bits for the Jaxa case wrench (Bergeon 2819-A, 2819-B, 2819-C, 2819-D), multifunction bracelet press (Bergeon 8745), bracelet holder block (Bergeon 6744-P), 4x loupe (Bergeon 2611-TN-2.5), plastic tweezers with steel lip (Bergeon 6460-P), anti-magnetic, stainless steel tweezers (Bergeon 7026-1), 5 stainless steel screwdrivers 1.00 mm, 1.20 mm, 1.40 mm, 1.60 mm and 2.00 mm (Bergeon 30081-100, 30081-120, 30081-140, 30081-160, 30081-200), 5 tubes with 2 spare screwdriver blades (Bergeon 6899-T �00 mm, 1.20 mm, 1.40 mm, 1.60 mm and 2.00 mm), snap back case knife (Bergeon 4932), flat nose pliers (Bergeon 2510-N), microfiber cloth (Bergeon 7039), flexible measuring band for wrists (Bergeon 6789-N), spring bar tool (Bergeon 3135), spare pin & fork ends for 3135 spring bar tool (Bergeon 3153-R), leather buff stick with buff protector (Bergeon 1282A & 4056-6), steel ruler (Bergeon 2819-08-R), 6 plastic boxes � x 30mm (Bergeon 2963-B), and dust blower (Bergeon 30540) Click here to order the tools individually. 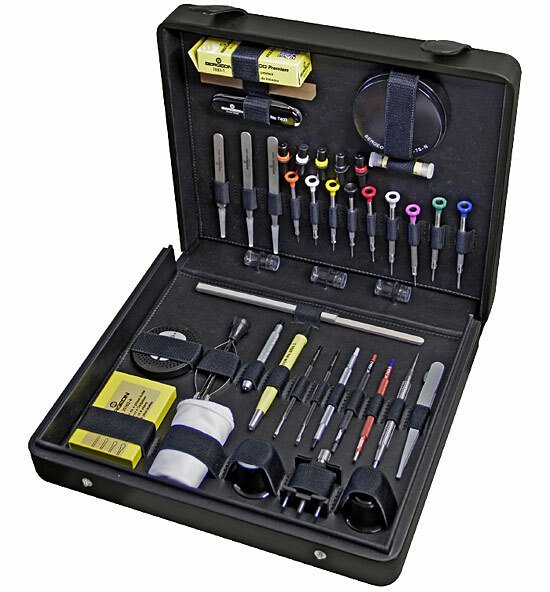 This incredible tool kit features 43 specialized tools and accessories in a magnificently crafted professional leather case. 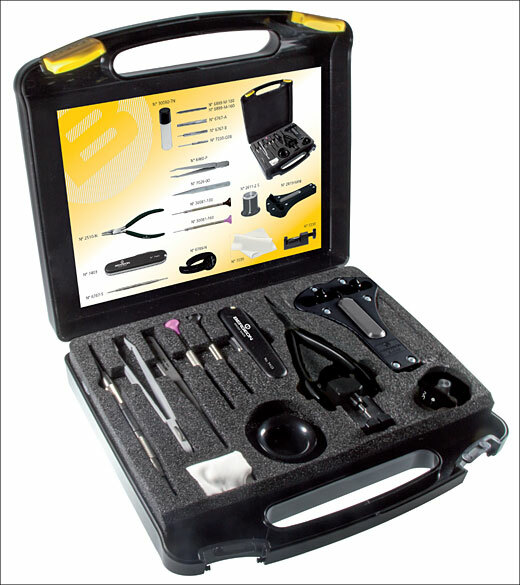 Tool kit includes: 4 tweezers (Bergeon 7026-1 Style 1, Bergeon 7026-5 style 5, 7026-F Bergeon Flat End Tweezers, and 6460-P Plastic Tweezers), 1 case cushion 5395-75-N), 1 scratch brush (2834-C), 9 Bergeon screwdrivers (sizes: 0.50, 0.60, 0.80, 1.0, 1.2, 1.4, 1.6, 2.0, and 2.5 mm), 5 tubes with replacement screwdriver blade (sizes: 0.50, 0.60, 0.80, 1.0, and 1.2 mm), 1 spring bar tool (7767-S), 1 pair of fine hands-levers (30019), 3 hands setting tool (7404-1, 7404-2, 7404-3), 1 case knife (7403), 1 polystyrene stick (7010), 1 leather buff stick (1282-D), 1 buff stick protector (4056-6), 1 Presto tool #1 (30636-1), 1 set of cutting broaches (1896-G), 1 movement holder (4040-P), 1 set of 4 oilers (fine, medium, large, and ex-large tips), 1 India stone (1945-34M), 1 base for dial plates (7053-N), 1 12x loupe (1458-A-12), 1 4x loupe (4422-2.5), 1 bar of Premium Rodico (7033-1), 1 microfiber cloth, 3 plastic tubes (2963-B), 1 dial protector (6938), 1 pin vice (30022-2). Compatible with all specific. 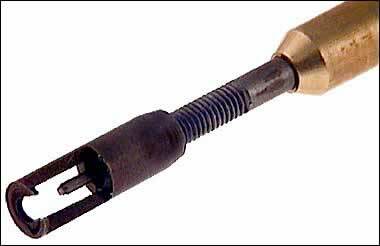 screwdrivers reference 7965-�br> Preset, fixed torque: from 10 to 55 mNm. Case Cushion with a hollowed center, covered with stamoid, non-scratching for glass. 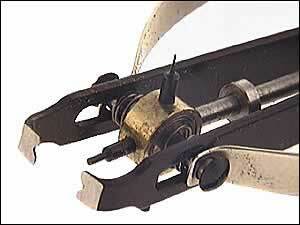 Held together by a nickelled brass ring. 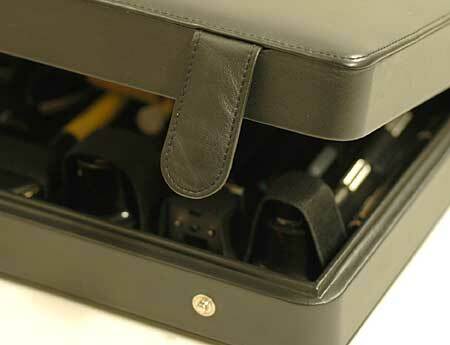 For casing and uncasing movements, opening & closing cases and giving protection while making regulating corrections. 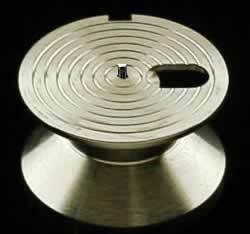 Has a diameter of 53 mm. 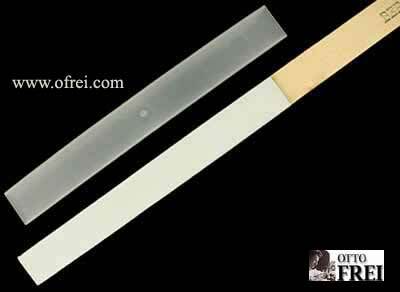 The fiberglass bristles are feed by a twist at the pen top. 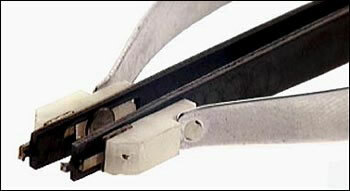 Use to remove rust and to clean a surface area of electrical contacts. 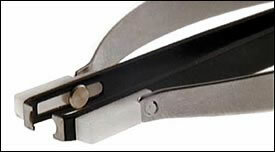 Some have used this scratch brush to apply a matt finish on a shiny finish crocodile strap with a gentle brush action. 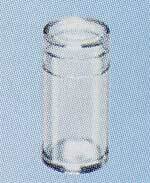 Refills available by box of 24 pieces or package of 2 pieces. 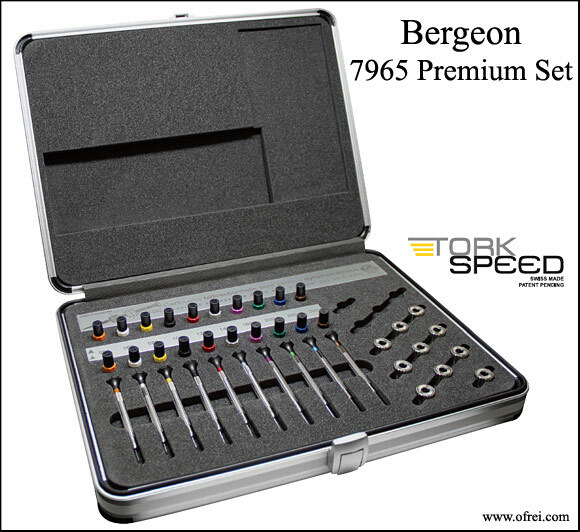 This is the original Bergeon Watchmakers Screwdriver found in the Bergeon screwdriver assortments 5970, 30009, 3044-A, 2631. For years these screwdrivers were considered the industries best screwdriver. Individual 0.50 mm size screwdriver with orange color ring on the top to identify the size. This is the original Bergeon Watchmakers Screwdriver found in the Bergeon screwdriver assortments 5970, 30009, 3044-A, 2631. For years these screwdrivers were considered the industries best screwdriver. Individual 0.60 mm size screwdriver with white color ring on the top to identify the size. This is the original Bergeon Watchmakers Screwdriver found in the Bergeon screwdriver assortments 5970, 30009, 3044-A, 2631. For years these screwdrivers were considered the industries best screwdriver. Individual 0.80 mm size screwdriver with yellow color ring on the top to identify the size. This is the original Bergeon Watchmakers Screwdriver found in the Bergeon screwdriver assortments 5970, 30009, 3044-A, 2631. For years these screwdrivers were considered the industries best screwdriver. Individual 1.00 mm size screwdriver with black color ring on the top to identify the size. This is the original Bergeon Watchmakers Screwdriver found in the Bergeon screwdriver assortments 5970, 30009, 3044-A, 2631. For years these screwdrivers were considered the industries best screwdriver. Individual 1.20 mm size screwdriver with red color ring on the top to identify the size. This is the original Bergeon Watchmakers Screwdriver found in the Bergeon screwdriver assortments 5970, 30009, 3044-A, 2631. For years these screwdrivers were considered the industries best screwdriver. Individual 1.40 mm size screwdriver with grey color ring on the top to identify the size. 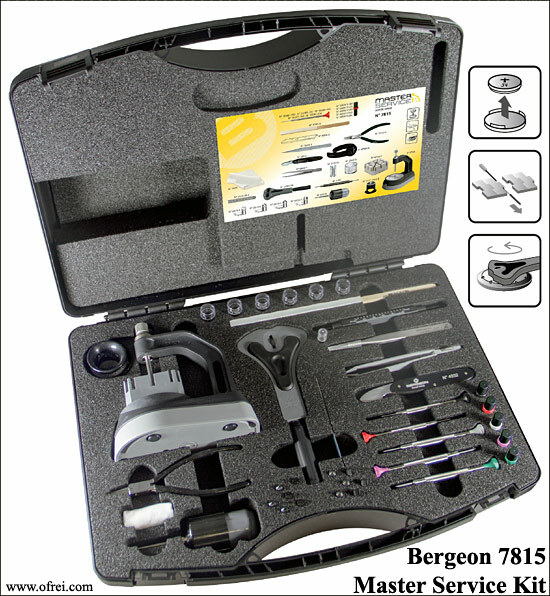 This is the original Bergeon Watchmakers Screwdriver found in the Bergeon screwdriver assortments 5970, 30009, 3044-A, 2631. 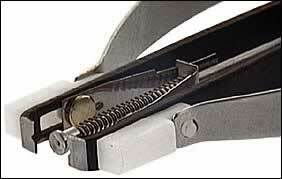 For years these screwdrivers were considered the industries best screwdriver. Individual 1.60 mm size screwdriver with purple color ring on the top to identify the size. This is the original Bergeon Watchmakers Screwdriver found in the Bergeon screwdriver assortments 5970, 30009, 3044-A, 2631. For years these screwdrivers were considered the industries best screwdriver. Individual 2.00 mm size screwdriver with green color ring on the top to identify the size. 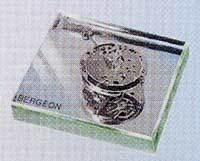 This is the original Bergeon Watchmakers Screwdriver found in the Bergeon screwdriver assortments 5970, 30009, 3044-A, 2631. For years these screwdrivers were considered the industries best screwdriver. Individual 2.50 mm size screwdriver with blue color ring on the top to identify the size. Color coded tube with four .50 Millimeter Bergeon Screwdriver Blades. Color coded tube with four .60 Millimeter Bergeon Screwdriver Blades. Color coded tube with four .80 Millimeter Bergeon Screwdriver Blades. Color coded tube with four 1.00 Millimeter Bergeon Screwdriver Blades. Color coded tube with four 1.20 Millimeter Bergeon Screwdriver Blades. Moebius Synthetic Oil 9010 has been the standard general purpose oil in the watch industry for decades. 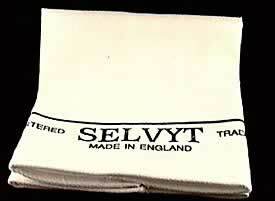 Extremely resistant to deterioration, it does not thicken, or clog and it prevents gumming up. 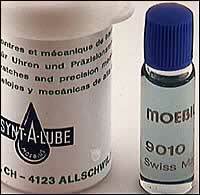 MOEBIUS 9010 Synt-A-Lube does not spread, and remains where it is applied for several years. 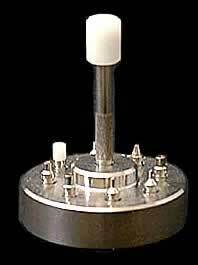 Viscosity of 1.5 stokes at +20 degrees celsius ((viscosity 120 (mm2/sec), provides good lubrication until -29 degrees celsius. Range of temperature: -29 to +70 癈, Viscosity at 20 癈: 150 cSt Pour point: -40 癈, Density at 20 癈: 0,907. Moebius declares the 9010 product in conformity with ROHS and REACH initiatives. Rodico brand cleaning putty is something the watchmaker should never run out of. In addition to it's ability to clean small parts, it is useful for wiping bridges and plates of excess oil, dust, and debris, and for 1,000 other uses: holding parts, fishing lost parts out of crevices, standing things up, and lying them down. Rodico is as an excellent cleaning material and is as useful as your imagination. This is a package of two bars. 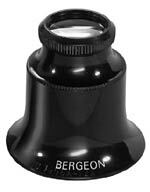 Bergeon rodico, cleaning compond and removes excess oils and finger prints. 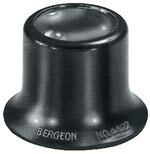 Bergeon hand levers with black plastic handles. 4 mm width at the tip. 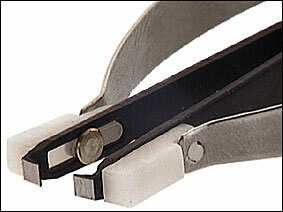 Overall length of 90 mm. 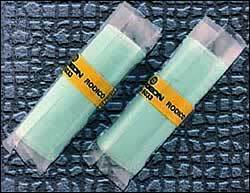 Polystyrene stick with pointed end on one side and flat end on the other. 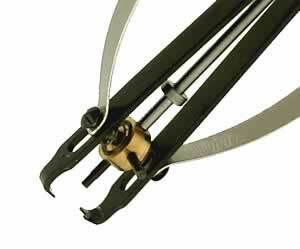 Length is 135 mm with 4 mm diameter. Lenses removable. Magnification 12X. Two eye loupes in one, double lens loupe with both lenses in place, the magnification is 12 power, focal distance 3/4"; unscrew the top loupe and you end up with a 5 power loupe with a 2" focal distance. 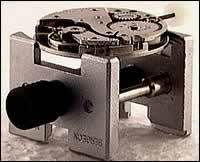 3.3x loupe with 3 inch focus point. 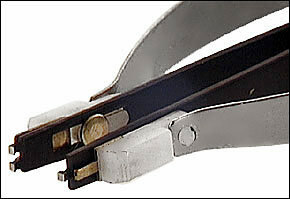 For efficient work, the strength (magnification) of the eyeglass must be adapted to each individual job. 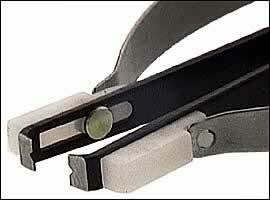 A reliable magnification should be used for ordinary work, this avoids eyestrain! Eyeglasses with a high degree of magnification are to be used for limited periods only.